York City Supporters’ Trust acknowledge the football club’s statement regarding the return of Jason McGill to the board. We also note the comments regarding the budget for the 2018/19 season. The pain of last season is behind us now. 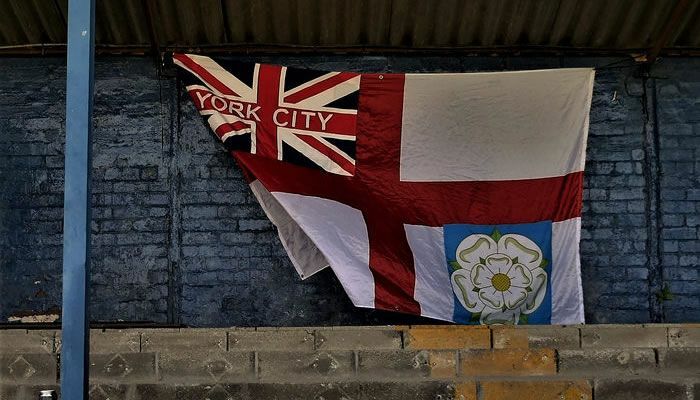 Let’s come together to make our final season at Bootham Crescent a truly historic and memorable one. However, the Trust continues to maintain that like any successful business, the football club should aim to operate within its means and not rely solely on further borrowing from the majority shareholder. As detailed in our statement of 2nd May, the Trust accepts that there are challenges in achieving a break-even budget in the short-term. We nevertheless remain committed to developing a long-term plan for a sustainable, profitable and community-focused club with meaningful participation by the fans and Trust at all levels of governance. The required authorisation for additional loans from JM Packaging Ltd in respect of the 2018/19 season. It should be noted that such authorisation is required under the terms of the legal agreements (2007) between JM Packaging, York City Football Club, Jason McGill and the Supporters Trust. An estimate of what financial contribution the Trust may realistically be able to make during the season. The terms upon which the Trust can contribute to the budget and the extent to which the Trust Board and Fundraising Team will have the co-operation and facilitation of the Club Board and administrative staff in all its endeavours. The Supporters’ Trust wishes the club board, players, management, staff and fans a successful season. Despite our perceived differences, the Trust’s door remains open for the club board to work positively with us in the best interests of the football club.